Introducing the New Mazda6 Saloon. Immerse yourself into a dynamic driving experience in the striking New Mazda6. With it's exhilarating power, premium interior design and advanced safety features you'll have a memorable journey every time you get behind the wheel. The athletic build and sophisticated design of the New Mazda6 sets it apart from the crowd and makes a statement whatever the occasion. Stay connected in a Mazda6 via a compatible mobile device where you can listen to thousands of radio stations, safely check and reply to text messages and keep up to date on social media. You can even stream your own music from your phone via a Bluetooth®connection. Control your entertainment using the 8" Colour Touchscreenwith MZD-Connect and the intuitive Multimedia Commander. An Integrated Satellite Navigation System is a key feature of the Mazda6 allowing you to plan your journey quickly and efficiently with no stress (Not on SE models).  You can choose from the fastest, shortest or most economical route. The Sport Nav model also boasts the Colour Active Driving Display that provides the driver with essential information on a full colour head up display. This system includes Traffic Sign Recognition which signals speed and traffic signs, making sure you can focus on enjoying the drive. Front and Rear Parking Sensors are included on selected models (Not SE/SE Nav models) to aid the driver when maneuvering by sounding an audible warning if obstructions are detected. Inspired by the incredible KODO: Soul of Motion design, Mazda6 boasts an athletic yet exquisite exterior. The bold lines and muscular shoulders convey strength whilst also portraying an element of streamlined beauty. The car has a sporty flair that conveys motion even when stationary. The striking LED headlights create a dramatic, powerful expression whilst the exquisite 17" Gunmetal alloy wheels and 19" Bright Silver alloy wheels enhance the stature. The interior has been designed around the driver to offer comfort and and control, whilst also offering a spacious cabin and large boot space. The ergonomic seating has been designed to provide ultimate back support, whilst the vehicles featuring leather trim have front seat heaters fitted for those cold winter mornings. The GT Sport Nav+ introduces a built-in ventilation system for leather seats, drawing hot air away from the body to make for a comfortable drive in all weather conditions. Mazda6 allows you to enjoy the journey ahead in style and luxury through the use of premium materials with a well-designed and crafted cabin. The beautiful interior oozes class and style whilst also feeling spacious and practical. Mazda6 is packed with Advanced Safety Technologies that have been developed to create all-round protection to you and your passengers.The i-ACTIVSENSE system uses smart technology including the Active Driving Display which is windscreen-projected for immediate driving information, and is standard on all models. Mazda6 also boasts monitoring sensors and camera that help you to view your surroundings and protect against any external factors. Fitted as standard on GT Sport Nav+ models, our 360° View Monitor uses four cameras and eight sensors to aid with parking and manoeuvering to keep you and your passengers safe. Blind Spot Monitoring detects any vehicles up to 50 metres behind and warns the driver via a door-mirror mounted warning light on the relevant side. Adaptive LED Headlights allow for an automatic switch between high and low beams at night time when the car detects if a vehicle is ahead or approaching and adjusts accordingly. Lane Keep Assist System helps to prevent your Mazda6 from straying from it's lane by notifying the driver if the car is veering off. The lane markings on the road are monitored by a front-view camera and calculate the cars position on the road. Mazda6 also incorporates Mazda Radar Cruise Control which sets the car to a certain speed and adjusts it by monitoring the the space in front in order to keep a pre-set distance away. Advanced Smart City Brake Support makes city driving stress free by using a forward facing camera and laser based system to detect the gap to the vehicle in front and applies the brake if the a collision is likely.